Provide comfort for the family of Dr. Susan LaForest with a meaningful gesture of sympathy. Dr. Susan LaForest of Ft. Lauderdale, FL and Trumbull, CT, a native of North Adams, MA, passed away Sunday March 24, 2019 in Branford, CT.
She was predeceased by parents Helen (Bourdon) and Herman Edward LaForest, as well as brother William, of North Adams, MA. Dr. LaForest is survived by her beloved son, Sam Manandhar and his partner Kerry of Stratford, CT. As well as her beloved sister Carol Wagner of McPherson, KS. She also leaves a sister, Teresa McClain and three brothers Robert, Daniel and Paul LaForest of the North Adams area; several nieces, nephews, and cousins, including a special cousin, Sandy Lloyd; two much-loved aunts, Ruth Richardson and Joan Brown; and uncle, Richard LaForest. Finally, her beloved longtime companion, Wilfredo Rosado. Dr. LaForest dedicated much time and energy to her studies and was a lifelong learner. She graduated from Drury High School, earned a Bachelor of Arts degree from Elms College; Master of Science Degree in Education from the University of Bridgeport; Advanced Degree in Educational Administration from Fairfield University. Lastly, earned her Doctorate in Education from Nova Southeastern University in Ft Lauderdale, FL, where she was honored with the Outstanding Dissertation Award. Susan was also a lifelong educator, passionately teaching elementary, high school and college students in the Connecticut School System. She additionally worked as a curriculum specialist for the Capitol Region Education Council (CREC) in Hartford, CT. Additionally, an administrator for the New York State Department of Education and the Adams/Cheshire Regional Schools; a professor at Fairfield University and various community colleges. Most recently, Dr. LaForest worked as a professor at Barry University in Miami, FL. She believed in giving back to her community and was active in literacy volunteer activities. She was a former Peace Corps volunteer serving in Kathmandu, Nepal for two years. She volunteered for Habitat for Humanity also as a Sunday school teacher at the Universalist Unitarian Church of Westport, CT, where she was a member for more than 25 years. 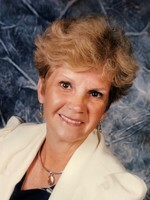 Susan loved to travel, take cruises, swim, snorkel, and especially enjoyed ballroom dancing. She enthusiastically attended theater, concerts, and plays. She delighted in reading, writing, learning about other cultures and spoke five foreign languages. Above all, she truly treasured spending time with her son, Sam. FUNERAL NOTICE: A memorial service will be held Saturday April 13, 2019 at 11:00 AM at FLYNN & DAGNOLI-MONTAGNA HOME FOR FUNERALS WEST CHAPELS, 521 West Main St. North Adams, MA. Burial will be private. Please visit www.flynndagnolifuneralhomes.com to add to the Book of Memories. In lieu of flowers, donations may be made in her name to the American Lung Association. To send flowers in memory of Dr. Susan Lee LaForest, please visit our Heartfelt Sympathies Store. We encourage you to share your most beloved memories of Dr. Susan here, so that the family and other loved ones can always see it. You can upload cherished photographs, or share your favorite stories, and can even comment on those shared by others. Provide comfort for the family of Dr. Susan Lee LaForest by sending flowers. I am so sorry to hear about Susan's passing. I was a classmate from kindergarten through high school, and I know she overcame many obtacles to achieve the great things she did. My heartfelt condolences to her family and particularly her son. She must have been a fantastic mom and teacher.